Imagine a franchise marketing strategy where each individual franchise is generating the best online leads based on scientific testing and constant refinement in their local market. As a former franchise owner, this is what I assumed a 70-year-old franchise with thousands of franchisees would provide for me. However, I recall the day I made the 6 hour round trip (luckily it was on my motorcycle through the beautiful New Mexico desert) to meet with a Franchisor-approved ad agency. For TV, Radio and direct mail, they had all their ducks in a row and had some great ideas. After it was clear I had more experience in internet marketing than our approved agency, I took over our individual franchise’s internet marketing. The most important thing to me, as a mechanical engineer and entrepreneur, was to find out what works through testing. Then I could do more of what worked and less of what didn’t. It’s never comfortable admitting when you don’t know if a marketing project worked or not. A couple years later, I sold that franchise and got inundated with requests to help my fellow franchisees with their own marketing. They apparently had similar experiences from the approved agencies. Since then our team at Optimized Marketing has noticed my story is not unique. Everything is controlled at corporate which makes it very challenging to understand the unique nuances of each local market. Corporate provides some general brand guidelines but then relative freedom to implement your own local marketing. Corporate requires franchisees to use a small group of approved ad agencies who are the only ones able to be paid by your co-op funds. There are franchises that combine a few elements from each and there are pros and cons to each structure. Our over 1,000 online experiments for franchises demonstrated that scientifically-tested websites with local internet marketing generate the most leads. In other words, for franchises trying to generate online leads, what works in Toledo doesn’t work in Miami so one national strategy doesn’t cut it. The goal should be to generate the optimal strategy for each franchisee, dealer, or distributor. To make this happen, my team has rewritten the playbook on how internet marketing is done for dealer groups because there are no software systems available to help you optimize 50 Adwords campaigns for the same franchise spread across North America. At Optimized Marketing, we looked at the marketing options for franchises and created the best online lead generation solution from the ground up. What does that ideal system look like? Deliver measurable lead generation for a great return on your invested marketing dollars. Be able to quickly deploy an entire web presence (i.e. 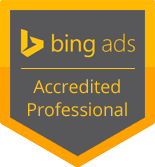 locally optimized website, SEO, PPC, directory optimization and review monitoring) that meets brand standards. Split-test high-traffic pages including different versions of the same page for desktop and mobile visitors. Leverage the data across the franchise dealer network to quickly learn which ads, keywords, topics, pages and offers are generating the most leads. Provide options for franchisees with marketing budgets from $500 to $50,000 per month. Scientifically prove what marketing is generating results while constantly refining those results to get better and better each year. Communicate simply what we’re doing to help each franchisee every month using 3 simple, core performance metrics. Optimize your results at least monthly so that your web presence is constantly being improved based on test results and not guesses and hunches. Benefit from the talents of several experienced conversion rate, PPC, and copywriting experts. In other words, if 3 different marketers are working in a single franchise network, they will each write their own ad copy and landing pages so our custom software allows each marketer to see what’s working best for the system overall. This ensures a steady stream of new ideas to test without collaborative groupthink. “We do websites and Adwords and Facebook and email marketing and SEO,” and then try to convince you they are the best at manipulating those particular tools. And that’s fine. We do all of those things too and are experts at using them. However, the technologies that will generate the best results in different geographic areas or for different franchise networks are not always the same. The best mediums for online lead-generation change regularly. What doesn’t change is a consistent system to learn which of marketing mediums are going to do best for each of your local markets. That’s why we developed Our Promises and outline for a successful internet marketing agency around the results we will deliver for you instead of around what technologies need to be managed. Page Value Comparison to compare all the pages across your franchise or dealer network on the same topic so that we can determine which is best and which web pages in each market have the most room for improvement. Top Ads Comparison to tell us which Google ads pull best overall and in each market. Organic traffic and search engine ranking position monitoring across the entire network so we know if anyone is slipping down in rankings for high-value keywords. A hybrid SEM/SEO approach that uses keyword data from both paid and organic to make sure we’re buying and ranking for the keywords that generate leads. The ability to deploy hundreds of locally-optimized WordPress sites and Adwords campaigns in a fraction of the time normally required for a fraction of the cost. For instance, a hundred sites can be launched in a few months instead of a few years. Quality control tools on the website, PPC marketing, and email deliverability to ensure your lead generation system is always running smoothly. As a franchisee, I knew what it was like to send out marketing dollars that didn’t come back with friends. Franchisors, franchisees, dealers and distributors now don’t have to worry about experiencing that same uncertainty. Best of all, because of our proprietary tools for scientific marketing, we guarantee you’ll experience better results.